Case IH has expanded its Efficient Power technology across more models in its range, including the new Maxxum and Farmall U, which were revealed at Agritechnica and make their UK debut at LAMMA. These models join the flagship Puma and Magnum ranges in sporting the very latest engine technology that offers high performance while reducing fuel consumption. At the show, the Case IH Advanced Farming Systems team will be offering visitors a chance to test their skills on the AFS simulator, designed to highlight the production efficiencies that can be made by carefully controlling the operation of combines, tractors and implements. 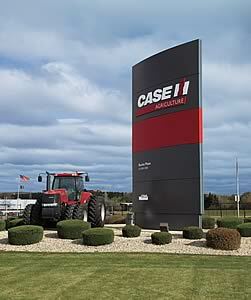 In concert with these efforts, Case IH’s Racine production facility in Wisconsin, home of the Magnum tractor, has recently been accredited with ISO 50001 certification for energy management and joins just a few companies worldwide that qualify.